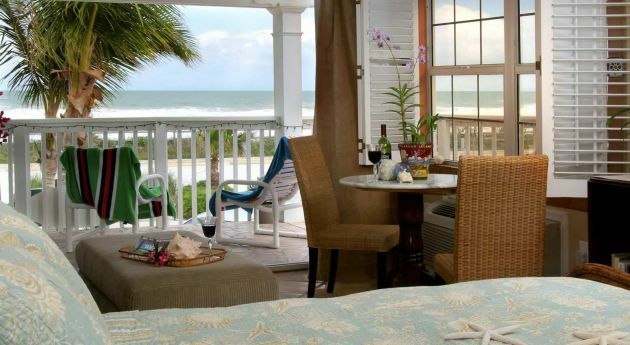 The private, 2-Bedroom oceanfront Sea Cottage Townehome is great for family get-togethers or larger groups. It has everything for a perfect vacation. 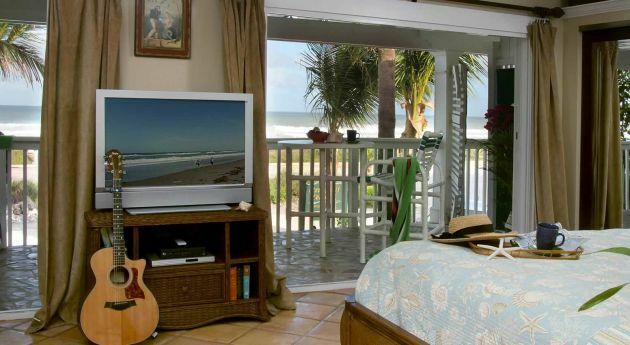 Located just steps from the surf, Oceanfront Cottages in Indialantic, Florida, offers five beautifully kept Florida beach cottages-suites and one beach townhouse (located 2 blocks south of hotel). Each suite is intimately decorated with five-star furnishings. Our accommodations are spotlessly clean and beautifully decorated with special luxury touches like leather couches, walk-in marble showers, ocean-view Jacuzzis and much, much more. 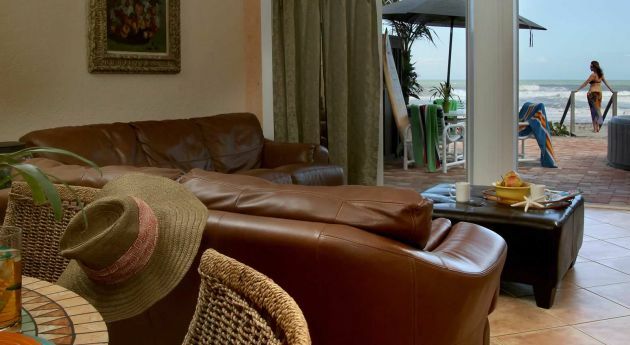 Choose your favorite suite or the townhouse, and then come spend a week or two on the beautiful Florida beach with us. Our Cottage Suites Are Not Suitable for Children including Visiting Children, Infants or pets. Also no large groups of visitors. 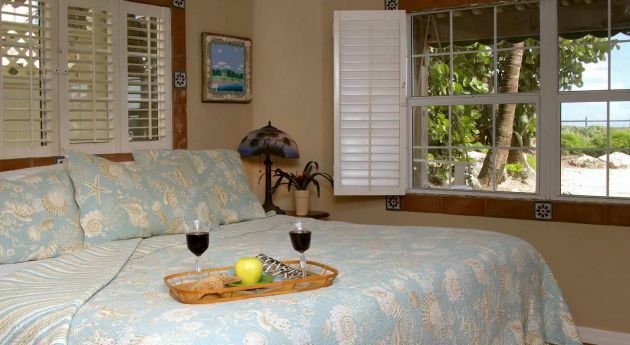 Our guests at this location are couples and business travelers seeking quiet enjoyment of the entire property. Please respect this or kindly go to the Holiday Inn down the street. They don’t mind how much noise you make. We recently spent several days on the beach at Indialantic (drive thru Melbourne) and we stayed at Oceanfront Cottages at 612 Wavecrest. 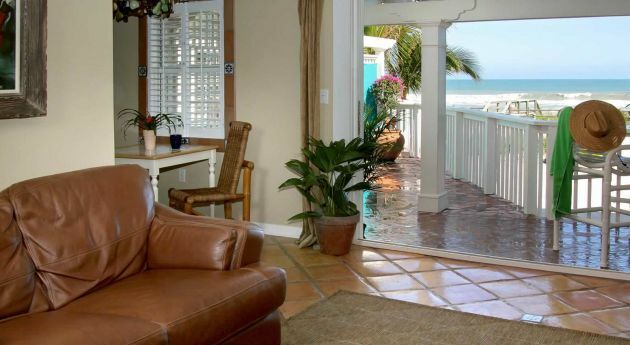 This is a small, quiet, almost intimate place to stay for a couple wanting to get away for several days on the beach. There are only a few units (5 or 6) and each with it’s own name and parking space. The interior of our unit was well laid out with a complete kitchen including all that we could possibly need. There’s a neat small private pool for guests only. Towels, Beach Chairs, Umbrellas, a grill, outside shower after getting off the beach, etc. . . all. Easy, short walk to the beach from our unit. This was a fantastic find for us. Soooo much better than the large, generic motels and as nice as any 4/5 Star place that we’ve ever stayed at. What a great find in Melbourne! Right across a lot from the ocean and beautiful beach. Great parking, self check in, personal hot tubs on the deck and a sense of privacy and yet being at home were so wonderful we will be back for sure! We rented bikes right up the street and set out for a 60 mile trek up and down A1A and had a blast! Full kitchen to cook your own meals and close to food stores. Melbourne market has a lot and good butcher shop.